Boil the water with little salt and switch off the stove. Add the rice sevai immediately to the boiled water and close it for 5 mts. Open the lid and filter out all the water and keep aside. Now in a kadai, add oil. When it is hot, add mustard seeds, urud dhall, bengal gram. When the seeds splutter, add the onion, green chillies, curry leaves and cook till the onion becomes transparent. Add the turmeric powder and salt. Add the sevai and mix well till the sevai changes its colour to yellow. Now add the lemon juice, mix again and switch off the stove. 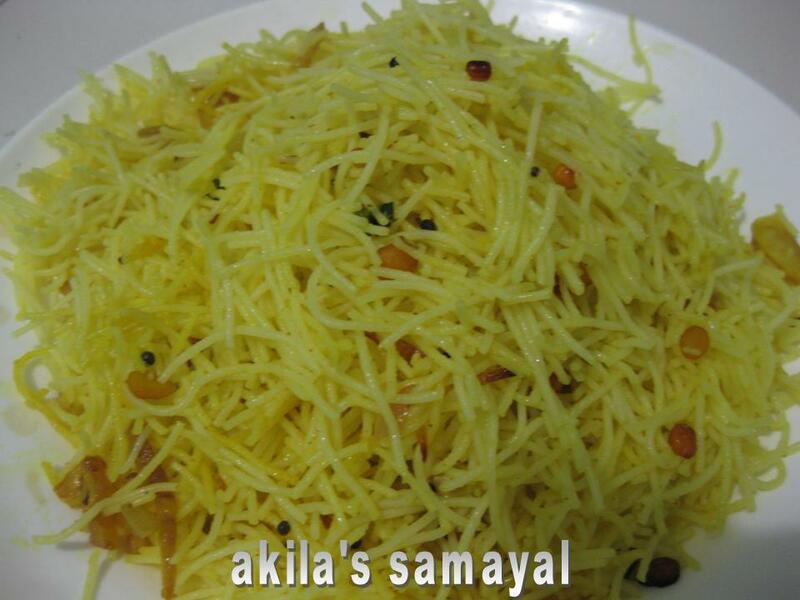 Can be eaten as it is or can have even the pickle as the side dish.